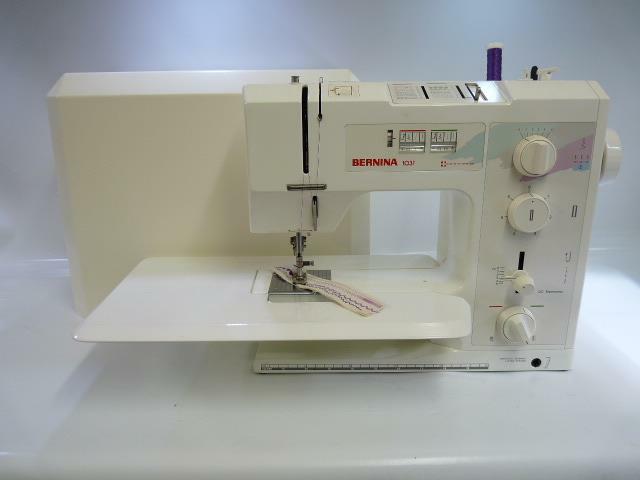 Included with this machine are foot control, hard carry case, instruction manual, extension table, bobbins, and feet. Simple to use / straight forward / Sturdy Metal sewing machine. Drop Feed for Free Motion Work. DC Motor for superior Needle Power. Sleeve Arm with Quilters Sewing Table.